The Chemical Guys OG Clay Bar is the safest and most effective way to remove contamination from your vehicle’s paintwork. Flex-Clay Technology easily removes overspray, rail dust, brake dust, pollution and contamination for a smooth-as-glass feel. 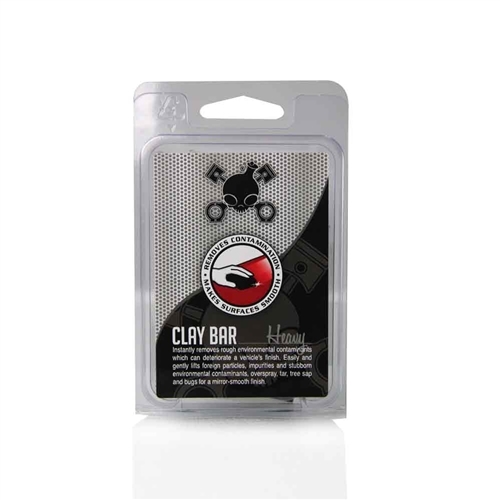 The “Original Gangster” Clay Bar is the worldwide favorite of professional and enthusiast detailers. The Chemical Guys OG Clay Bar removes embedded contaminates that reduce the shine of your paintwork. The OG Clay Bar works great on paintwork, glass, plastic and metal surfaces. The unique elastic yellow detailing clay pulls off rough contamination like a magnet. Advanced clay formula is engineered to last longer and clean more vehicles. The OG Clay Bar is designed to work great on new and old paintwork. Innovative Flex-Clay safely removes contamination without damaging the surface. Restore the smooth feel back to any car, truck, motorcycle, RV and boat with the Chemical Guys OG Clay Bar. The classic OG Clay Bar is designed to cleanse your vehicle’s paintwork removing pollution, fallout, rail dust, brake dust, overspray, and stubborn contamination. The versatile detailing clay even removes tree sap and road tar. The unique OG Clay Bar safely cleanses your vehicle’s paintwork for a smooth feel. Our super elastic clay formula is perfect for detailing virtually any vehicle. Great for removing contamination before applying your favorite coat of carnauba wax or paintwork sealant. 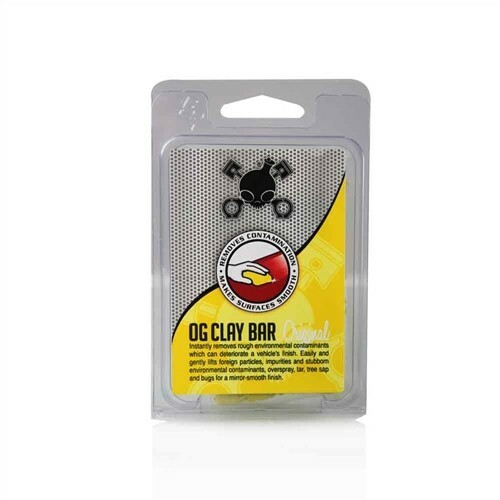 The Chemical Guys OG Clay Bar is non-abrasive and safe on aluminum, chrome, fiberglass and all painted surfaces. The OG Clay Bar even works great on plastic headlights and taillights. Airborne contamination can dull your vehicle’s finish. Easily remove overspray and contamination to restore a smooth feel with the Chemical Guys OG Clay Bar. The OG Clay Bar is the classic favorite of detailing professionals and enthusiasts worldwide. The original yellow detailing clay removes stubborn contamination from new and old surfaces. 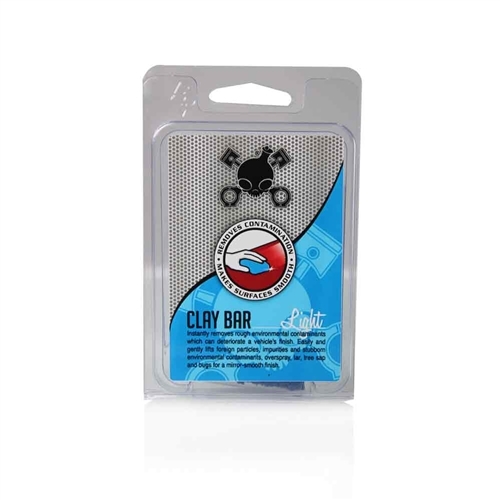 The “Original Gangster” Clay Bar removes pollution, fallout, rail dust, brake dust, overspray, and stubborn contamination from your vehicle’s finish. The original yellow clay bar is world famous for restoring a smooth as glass feel to paintwork, plastic, glass, wheels and metalwork. The OG Yellow Clay Bar works best with Chemical Guys Luber for the ultimate clay bar experience. Simple spray Luber directly onto the surface and cleanse the panel using the OG Clay Bar. 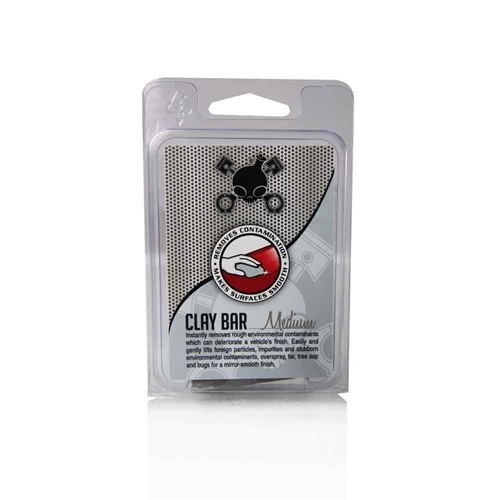 The OG Clay Bar easily removes years of contamination while being safe on the surface. Remove tree sap and road tar using innovative Flex Clay Technology. Remove pollution film and overspray from your vehicle’s glass for improved visibility. The OG Clay Bar cleanses multiple surfaces for ultimate versatility. Chemical Guys OG Clay Bar makes virtually any surface feel smooth as glass.